Notebook. Check. Pens and pencils. Check. Folders. Check. New lunch box. Check. It’s that time of year: back-to-school lists are being checked off; deals and savings for supplies are in full swing. Right about now you are probably wondering what happened to the summer and how on earth will you manage another school year. In the hustle and bustle of buying new shoes and book bags, take a moment to stop and reflect. A new school year is upon us! Whatever happened or did not happen last school year is long gone and is fodder for the history textbooks. As summer winds down, consider what your goals and visions are for both yourself and your child(ren). Of course, there are the obvious aspirations: good grades; effective study skills; completed home assignments and neat projects. However, how are your child’s social skills? Do you need to have a more active presence in your child’s classroom? Does your morning routine, including breakfast and getting out of the house on time, need fine-tuning? Do you need to start writing down important dates or figure out how to best stay atop of your busy schedule? Intentions for the school year can often be like New Year’s resolutions: we embrace the idea of another chance, a fresh start, but unless and until we set firm goals and take active steps to reach them, we quickly learn that old habits die hard. As you think about what you want for yourself and your family this upcoming year, consider the attitudes, thoughts, and motivations that feed behaviors. This is a good time, now, before the routine gets, well, routine, to review schedules, re-order priorities and revisit daily structures. •If you haven’t done so already, buy a large calendar that can be placed where everyone in your family can see and access it. Spend time on a regular basis (i.e. once a month, once a week – whatever works for you) to update it with appointments, due dates, and other activities. Encourage your children to add to it as well; or give them individual planners to help teach them how to manage their time. •Plan ahead to make your days run smoother. How many times have you run late trying to find your preschoolers other sock or hurrying to pack a lunch for a field trip at the last minute? Coming up with a comprehensive plan to tackle time-eaters such as laundry and meal preparation can change your life! •How would you describe the general mood of your household? Stressed? Relaxed? Anxiety-ridden? Decide what emotion you want your child(ren) to carry with them out the door and to school. Take active steps to create an atmosphere of positivity in your home. Seek professional help if things feel too haywire, unpleasant, and/or out of your control. •Incorporate mood tracking into your day. Post pictures of “feeling faces” on your refrigerator. Have your children identify what they are feeling on a daily basis-doing so can be a first step to controlling moods. It is difficult to embrace or change an emotion if you do not first identify it. •Look at the language of your household. Words can go a long way in terms of either building up or tearing down others. Remember communication is not just verbal. Consider your family’s communication style as the school year begins. Think of the example you want your children to follow as you interact with their teachers, school staff, peers, and other parents? Remember there will always be challenges and obstacles that arise over a given year, but effective and healthy communication can make the difference between overcoming obstacles or staying stuck in a rut. •Your family patterns and routines are unique to you. Figure out what is working, and change what is not. Set your vision and take measurable steps to see it to completion. Mark and celebrate progress. If your best plans do not pan out, adjust and keep moving forward! Each day, each month, each moment is a new chance to get it right. Leslie J. Sherrod is a mental health clinician and the author of several novels. 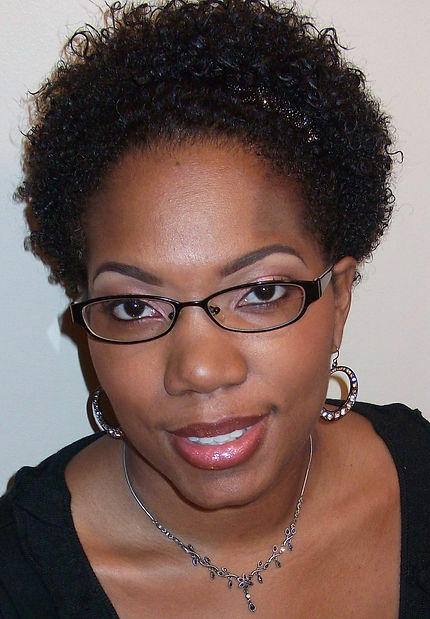 Her work includes Losing Hope and Without Faith, the first two books of the groundbreaking “Sienna St. James Series;” Secret Place, which was featured on CBS and NBC affiliates as addressing mental health issues in the African American church community; and Like Sheep Gone Astray, which received a starred review from Booklist and was featured on AOL’s Black Voices. She is also a contributor to the bestselling A Cup of Comfort devotional series and has a short story, “The Jericho Band” available exclusively on Amazon Kindle. Leslie was recognized with the SORMAG Readers Choice Award as Christian Author of the Year (2012).